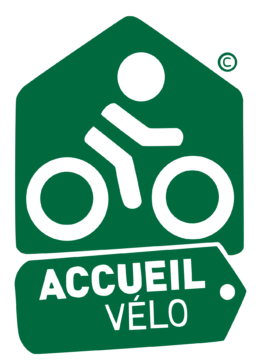 The campsite is located in a quiet and peaceful area at the bottom of the Galibier. You will enjoy the wide view on the neighbouring mountains. It is only a few minutes walk from the Saint Michel de Maurienne city and shopping centre. It is a cosy and shady place, the 21 pitches have electricity and water. There is a pétanque strip, a mini football pitch and a playing area for kids. Hot showers 24 /24. From May to early october for our camping spaces. All year long for our mobile homes chalets rental. The external camper vans drivers will enjoy the Flot Bleu post (camper vans draining area), tokens are for sale at the reception. 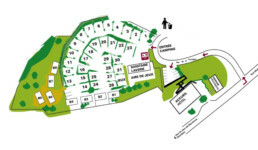 • You want a camping-car or caravan pitch that meets all your requirements? With or without electricity, it's up to you! • You prefer to stay in tents to be in direct contact with nature? you will also enjoy free flat grass pitches to sleep under your canvas. • Size of the pitches: about 50 m2.